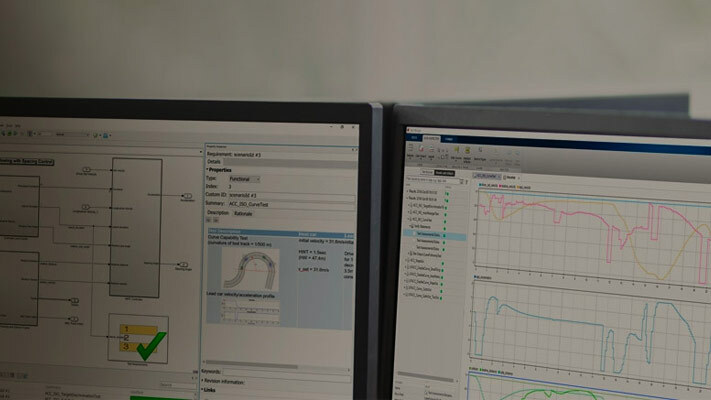 Simulink® Requirements™ lets you author, analyze, and manage requirements within Simulink. You can create rich text requirements with custom attributes and link them to designs, code, and tests. Requirements can be imported from external sources and you can receive automatic notification when requirements change. You can view the requirements and design together, establish links with drag and drop, annotate diagrams with requirements content, analyze requirements traceability, and navigate between requirements, designs, generated code, and tests.